Montreal’s goaltender Ken Dryden’s second shutout of the tournament gives the Canadiens a 2-1 lead in their Semifinal series against the Boston Bruins. 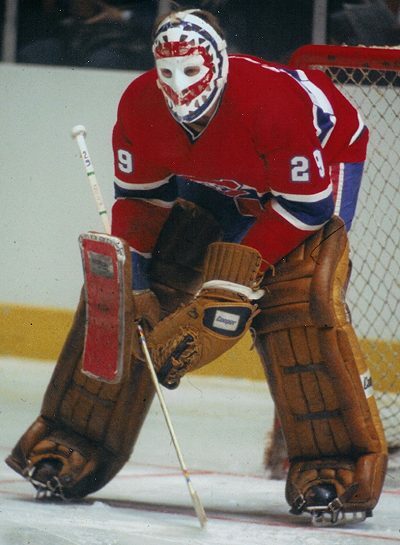 The top-seeded ’76-’77 Montreal Canadiens was the better team in both of the first two games and if it wasn’t for a 69-save performance from Gilles Gilbert, they would have a 2-0 lead coming into Game 3. The opening period of Game 3 was uneventful for the first 16+ minutes until coincidental roughing minors were called on Pierre Bouchard and Carol Vadnais, one of many in the first seven periods of this series. Then, in the final minute of the first period, defenseman Serge Savard potted his seventh goal of the tournament to give the Canadiens a 1-0 lead. Montreal added to that lead early in the second thanks to center Doug Jarvis, who scored just his second goal of the tournament. The 2-0 score would be the final and Montreal goaltender Ken Dryden would stop 21 Boston shots to earn the shutout. The Bruins didn’t have much to be proud of in this game. They did not have a PP opportunity and gave the Canadiens two PP opportunities, but did deny Montreal on both of them. Game 4 will be Monday night! Game 3 of the other Semifinal matchup between the 19th-seeded ’88-’89 Calgary Flames and the 23rd-seeded ’79-’80 Buffalo Sabres takes place tomorrow night and the Flames lead the series 2-0! This entry was posted in Semifinal, Ultimate NHL Playoff and tagged Boston, Carol Vadnais, Doug Jarvis, Gilles Gilbert, Ken Dryden, Montreal Canadiens, Pierre Bouchard, Semifinal, Serge Savard, Ultimate NHL Playoff. Bookmark the permalink.